Silk Ribbon Embroidery. 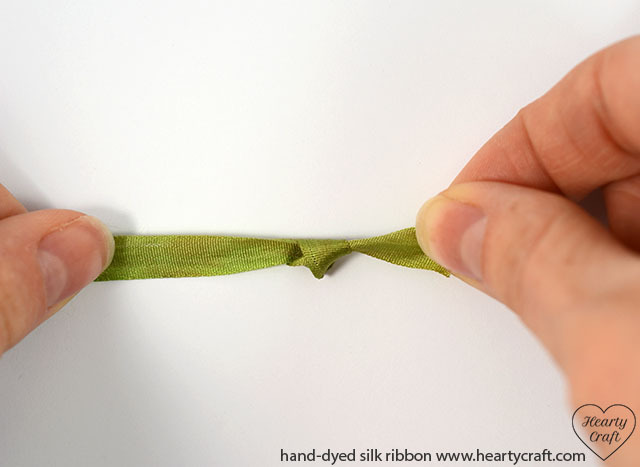 How to knot the ribbon. If you have never done any silk ribbon embroidery, you might feel confused about stitching with ribbon. They do not look like floss, so how could one stitch with it? Actually, stitching with silk ribbon is almost the same as stitching with embroidery thread. Many of the stitches are exactly the same, and, similarly, you would need a needle and a piece of fabric to stitch on. 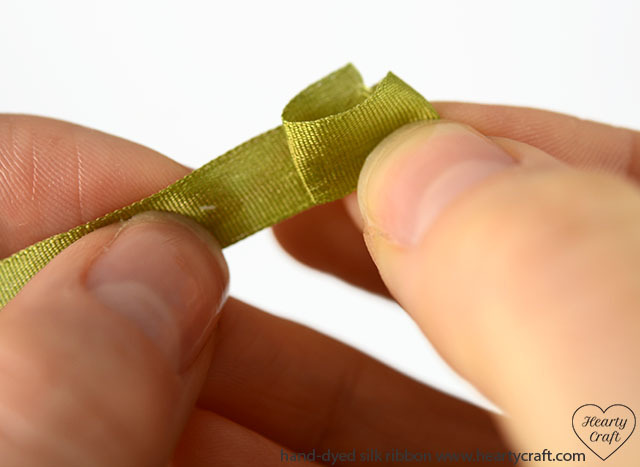 Of course, there are some features and techniques that apply only to ribbon, but, in general, the process of stitching with narrow ribbon is similar to the one with thread. 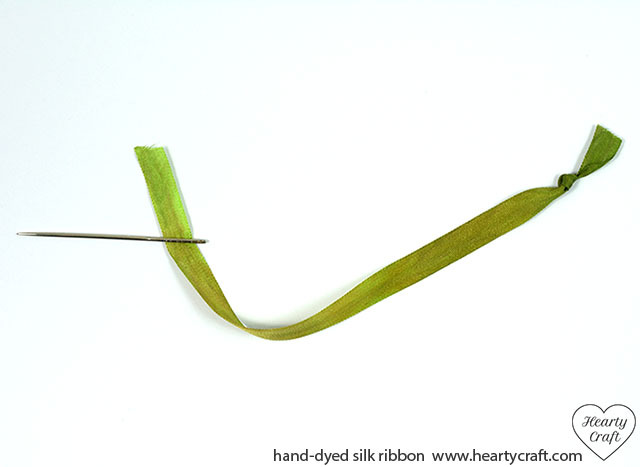 In the next few posts I’d like share some basics of the technique, such as how to start and end stitching, how to take care of silk ribbon, what needles and fabric to choose, and so on. 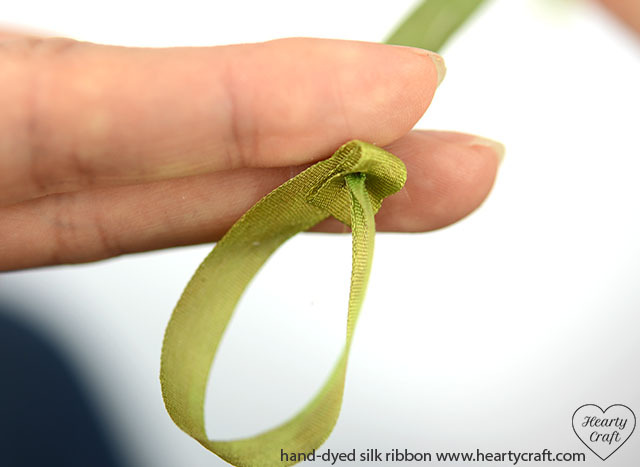 To start stitching, thread a needle with ribbon and tie a simple knot on the ribbon end. 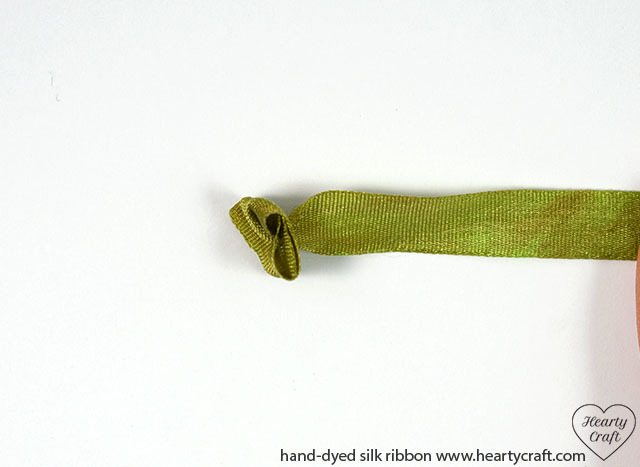 For 4mm and 2mm wide silk ribbon it’s OK to anchor your ribbon in fabric with a simple knot. Usually when you stitch with floss it is not recommended to use the knot as it can leave a bump which may be visible from the right side of the fabric. That should not bother us in case of ribbon embroidery, as its backside is going to be very busy anyway. This is because the ribbon is wider than floss, and the embroidery itself tends to be textured and raised. A tiny knot simply wouldn’t be noticeable. However, having said that, sometimes you still might prefer using a soft knot instead of a simple one. For example, when you stitch a small design or use thin fabric the soft knot is especially helpful as it is flat, so it doesn’t add any bumps to your stitching. 3. 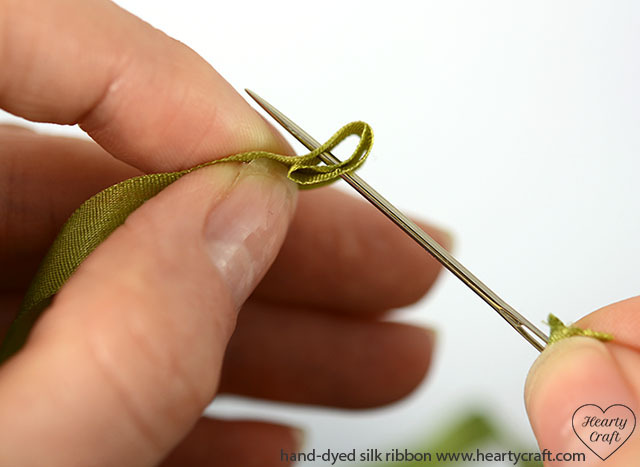 Very gently pull the needle with ribbon through the folds, holding them between your fingers. Don’t tighten the knot too much or it looses its flatness. 4. Here it is what you’ll get. The soft knot. 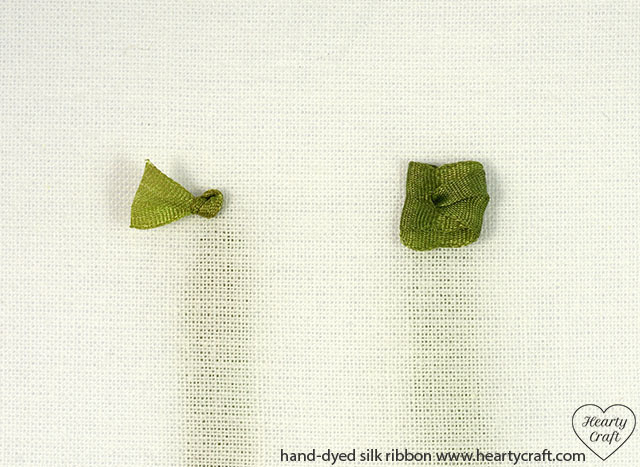 And here are two knots as they look like on the back of fabric. If your fabric is particularly delicate and thin, don’t worry, there are ways to stitch with silk ribbon without knots at all. I will explain how it could be done next time. This entry was posted in Blog Posts and tagged How to, Silk ribbon embroidery on 11th July 2014 by Zinaida.